Less than half of Canadian children and youth report that they eat fruits and vegetables at least five times a day. Canadian born youth are somewhat more likely than immigrant youth to do so – 42% compared with 36%. 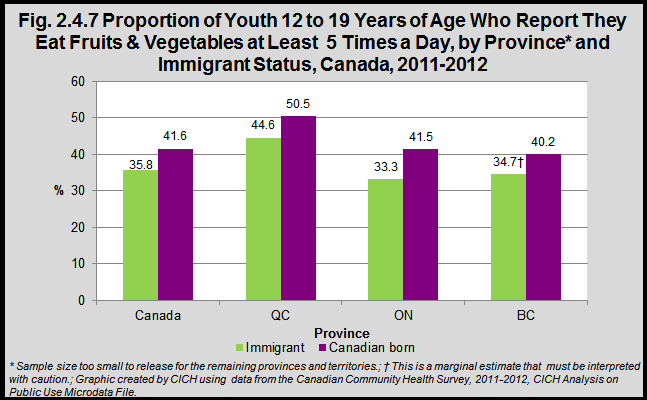 Immigrant children and youth living in Québec are more likely to eat fruits and vegetables at least five times a day than are children and youth in other parts of Canada.